I will start my post out by saying HAPPY BIRTHDAY DAD!! I created this cheesecake just for him and it ended up being a bigger fiasco and learning experience than I had expected.. I had been asked to make my dad a special birthday treat for today. I tend to over complicate requests like this, and today was no exception. I was going to make it simple – but it didnt work out that way. I figured he loves peanut butter cookies and cheesecake..so why not mix those two? 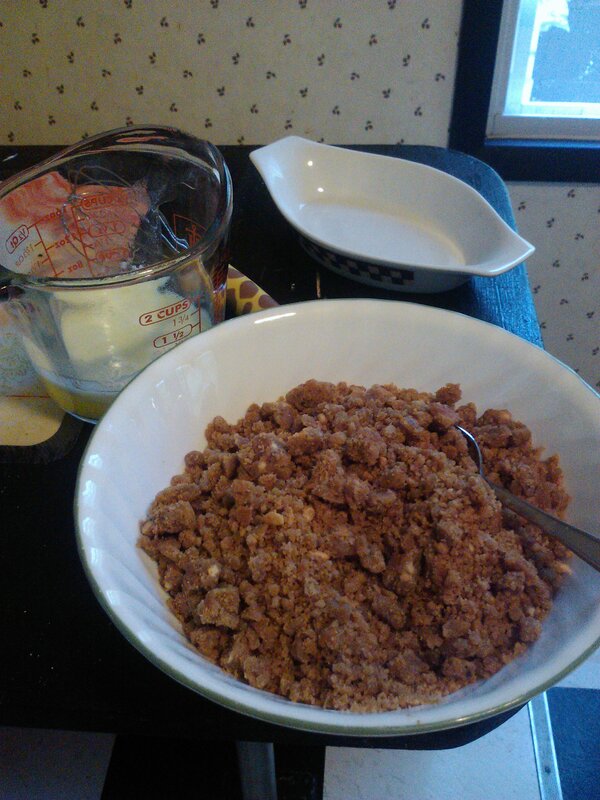 My genius idea was to grind up peanut butter cookies and add a bit of melted butter just as you would graham crackers to make a crust. 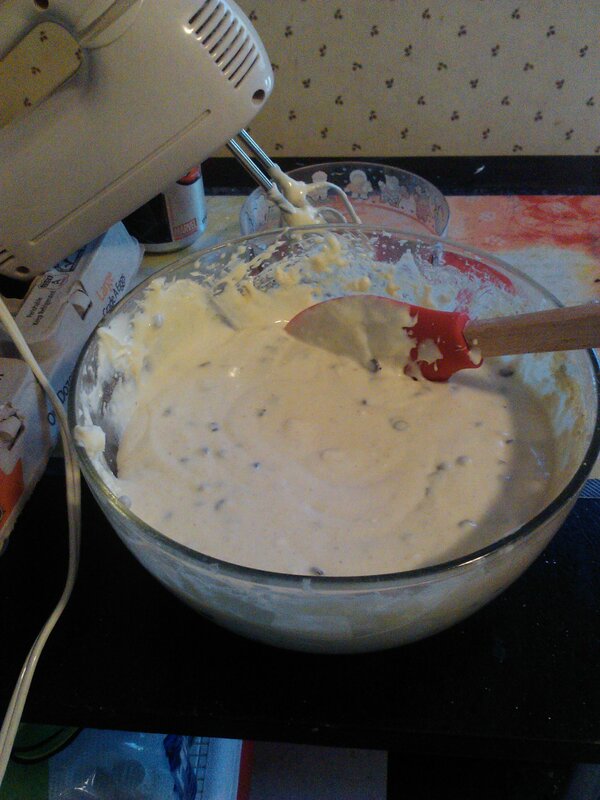 Next I made a classic batter except I added an ingredient called PB2. It is meant to be a healthy alternative to peanut butter. It IS peanut butter..however it is dehydrated and only has 1 gram of fat per 2 tablespoons (yes please!). 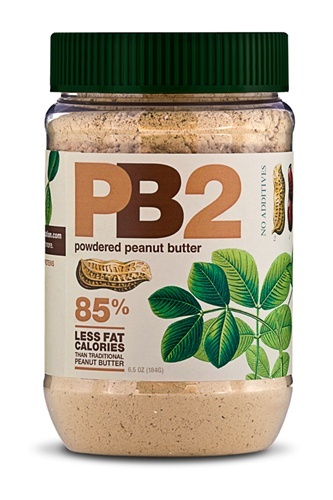 I normally put these in my Herbalife protein shakes each morning, but I figured with having the peanut butter be powdered – it would not effect the batter consistency. Mix all ingredients well with a hand mixer. Well…I had my batter ready and turned to set my oven (yes, this should have happened sooner, however I was watching my niece and nephew and was a bit scatter brained!) and I realized..Oh yeah..my oven door fell off and Im waiting for a part to come in the mail. So after blinking a few times in disbelief that I forgot this key fact – I realized I had to have a plan B. Its my dads birthday, I created this awesome batter. IT HAD TO BE USED! I will not deny that the idea of pitching this and running to the grocery store did cross my mind. However, I remembered that I have a BBQ competition coming up and one category is anything NON MEAT. 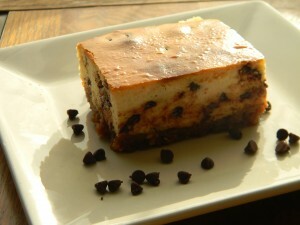 I have been told before that if I dont do cheesecake, then there isnt any point in trying. This was definitely an opportunity to see if this could possibly work. I turned on my grill. I have read before that when baking on a grill it needs to be in-direct heat. So i took a large metal pan and set it upside down on the grill. I put the two outer knobs to low and the middle one as low as it could go. I waited until it hit 325. 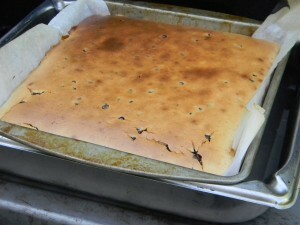 I then took another pan and made a water bath for the cheesecake. I put the cheesecake in and crossed my fingers. I kept checking periodically..there were a few temperature spikes, but nothing too terrible. 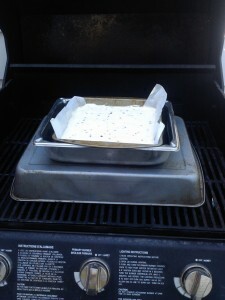 I kept expecting to see billows of smoke on my back porch and find my cheesecake burnt to a crisp. My other fear being that I would take the first bite and get charred pork flavor. I let it “bake” or..”grill”? I dont know…for about 50 minutes. I inserted a toothpick and was shocked it came out clean. I did a little happy dance – You’re welcome neighbors. I let this cool for about an two hours in the fridge. It seemed a little bit loose which was making me paranoid. I was completely shocked when I took it out of the pan to see that it was perfect. I am not kidding around when I say this was easily the best cheesecake I’ve ever made. It was light and airy like a cake, not super dense. I usually say I love dense cheesecake more, the heavier the better! But i’m feeling like for summer, this light airy cheesecake smashed its dense competitor! The crust wasn’t super crunchy, probably because my love for melted butter. It did not fall apart at all, but it wasn’t crunchy. I’m pretty sure having no heat directly on the bottom was the reasoning for that. That would be my only complaint about this, which isn’t really a complaint because there’s nothing bad about soft buttery peanut butter cookies in my opinion. 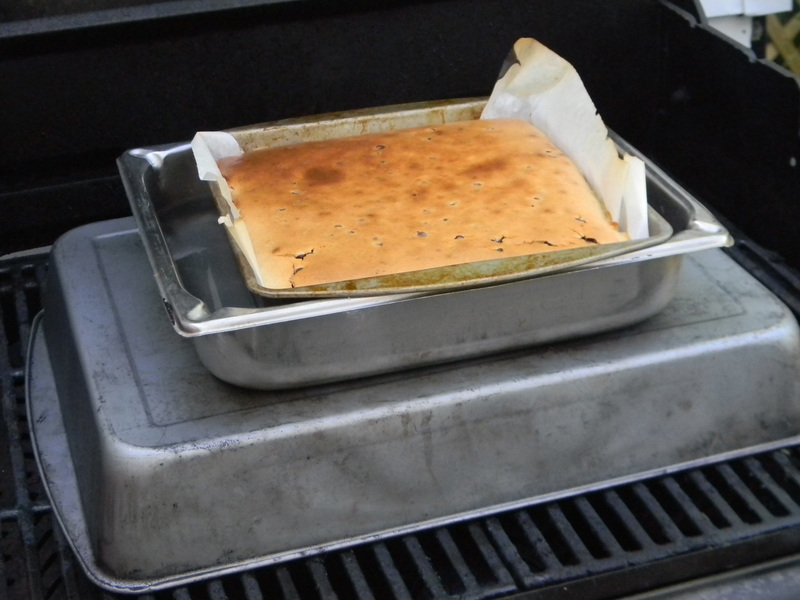 I cannot say that I will take all my baking outdoors..but I must say I do feel a total sense of accomplishment and pride that I was able to resolve my problem and successfully ”grill” a cheesecake!